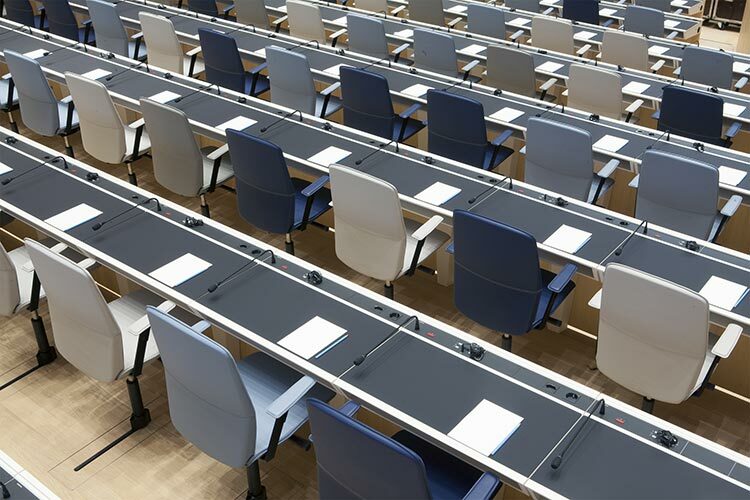 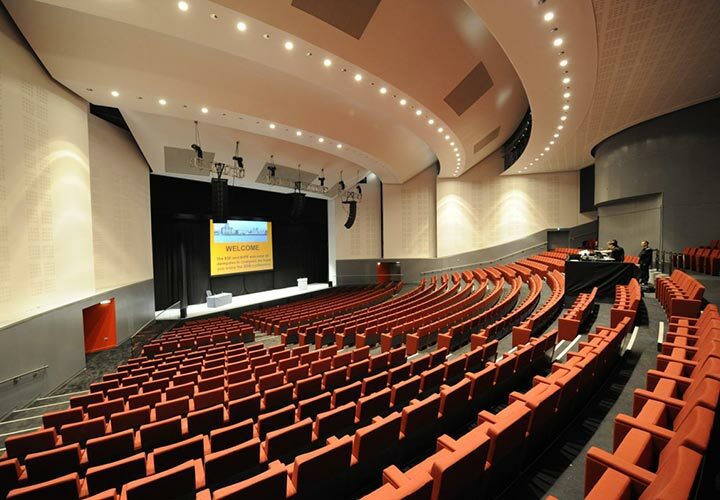 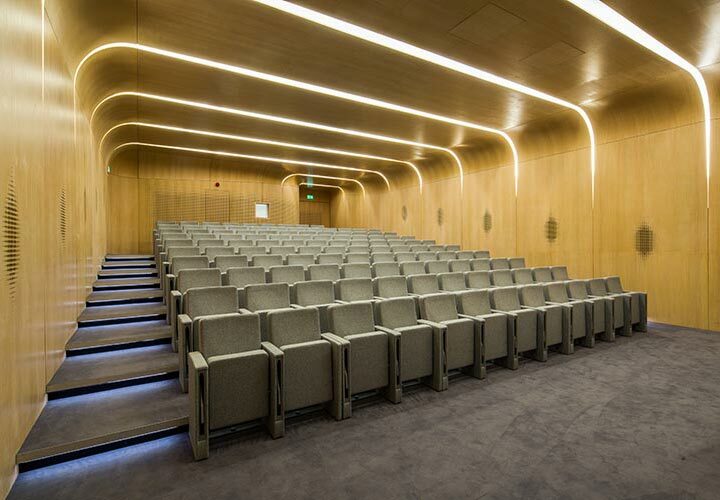 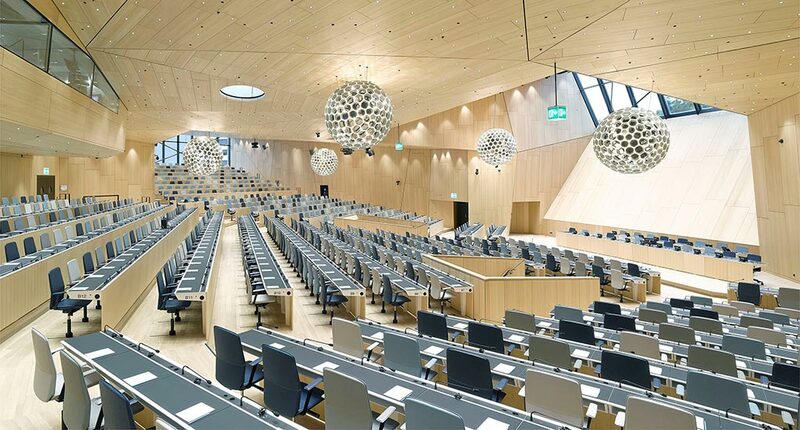 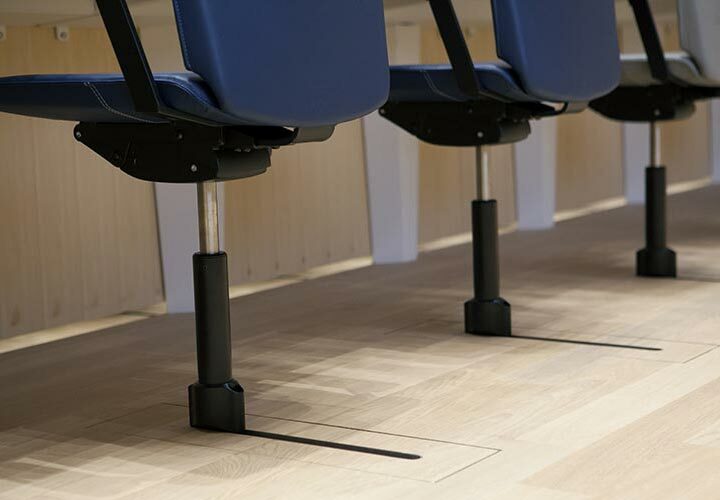 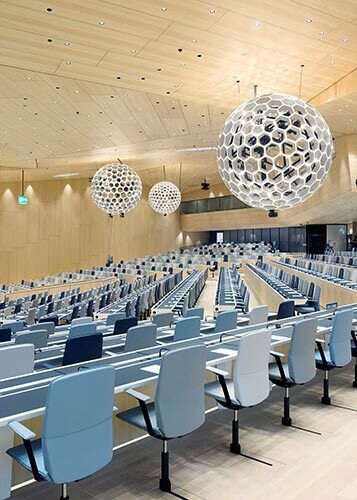 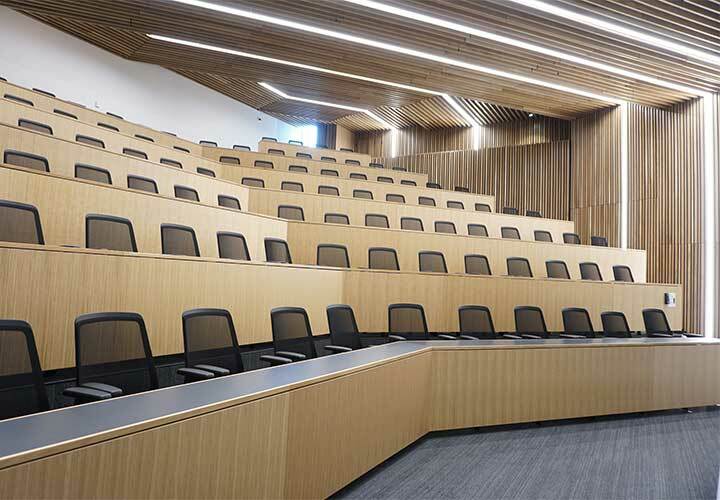 Seating applications for fixed or multifunctional use using purpose designed or standard products for lecture theatres, auditoria, conference halls including. 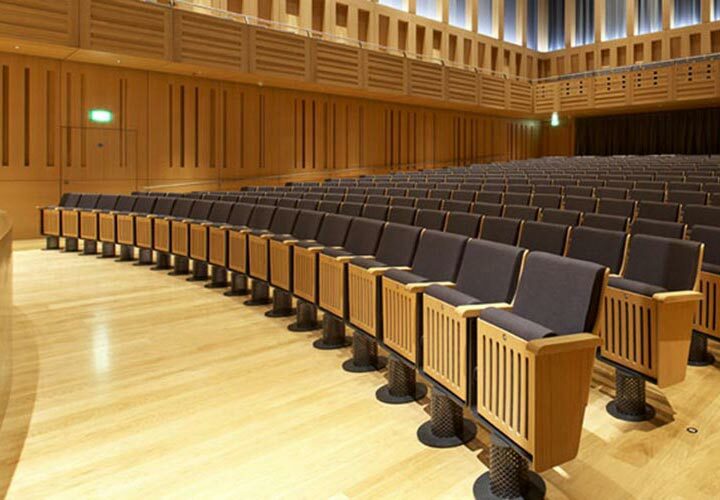 Ranges include: sliding seats (chair tracks and railing systems), folding seats by storing the seats below the floor, retractable seating, fixed tip-up seats with soft closing mechanism and anti-panic writing tablets, removeable solutions. 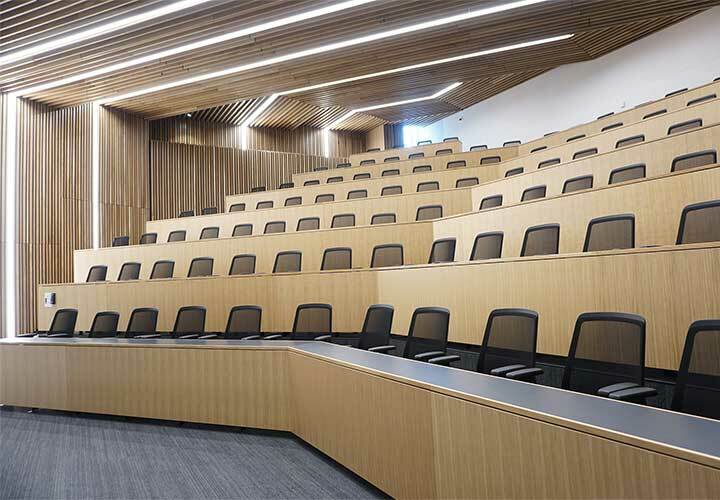 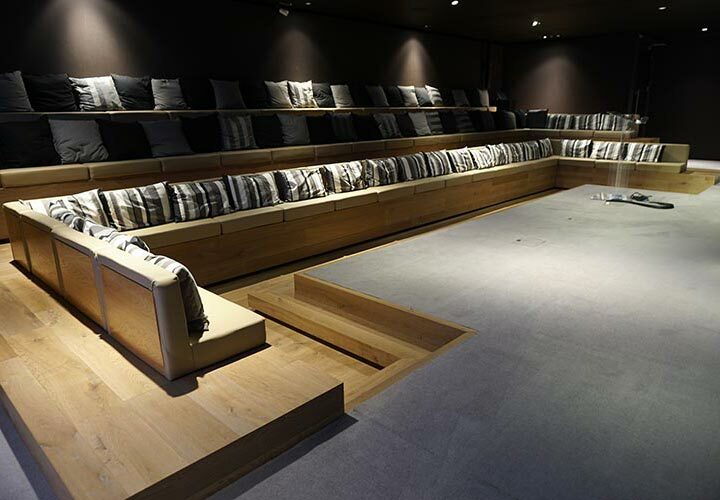 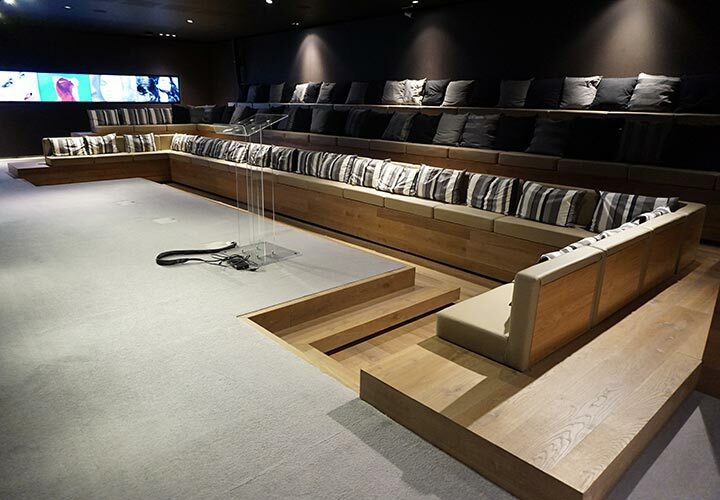 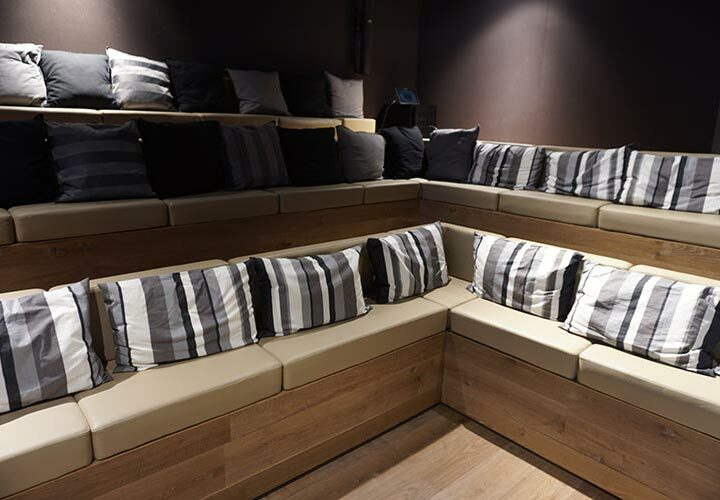 High degrees of customisation are available to suit a specific project look and requirement, from small to large installations with full acoustic assessments. 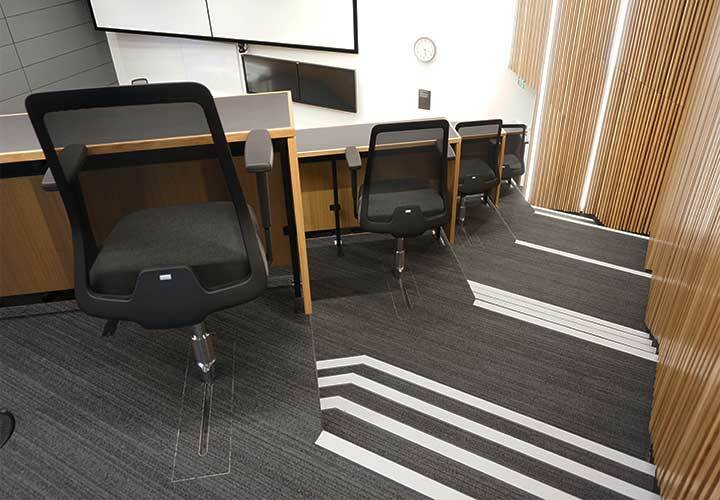 Coordination with flooring and services for fully integrated designs.